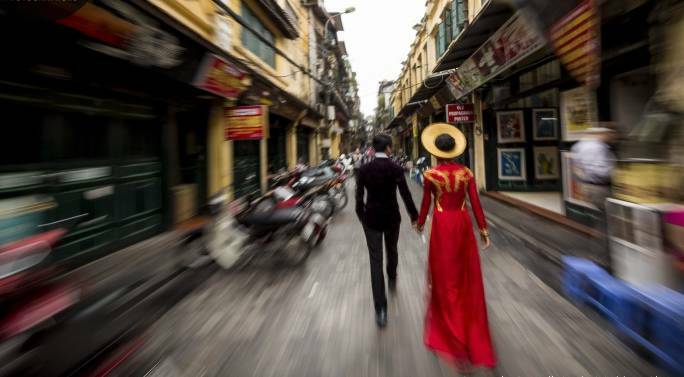 Long and thin, the S-shaped country, Vietnam encompasses a stunning array of cities, beaches, mountains, rivers, temples and more, making it a hugely rewarding honeymoon destination for couples looking for a holiday like no other. From its gorgeous landscapes to its fascinating history and culture, there’s a lot for couples to discover in Vietnam. It’s fairly easy to say then that anyone considering a honeymoon holiday to Vietnam won’t be disappointed. Whether you’re dreaming of a honeymoon on the beach, in a glamorous city or somewhere remote and rugged, Best Vietnam Tour handpicked 8 destinations for the perfect post-wedding getaway. Two major cities are the perfect start and end points, both being rich with high-end hotels and restaurants, fascinating museums and cultural diversions. Hanoi is Vietnam’s capital, an elegant blend of French architecture, royal legacies and artisan influences – beautiful to wander around, and a mecca for shopping. While Ho Chi Minh City, known as Saigon to the locals, this Southern Vietnamese city showcases a mix of vibrant Asian culture and colonial European elegance. Sweeping, tree-lined boulevards of boutiques run in to the street-stall-lined thoroughfares of a foodie’s paradise. 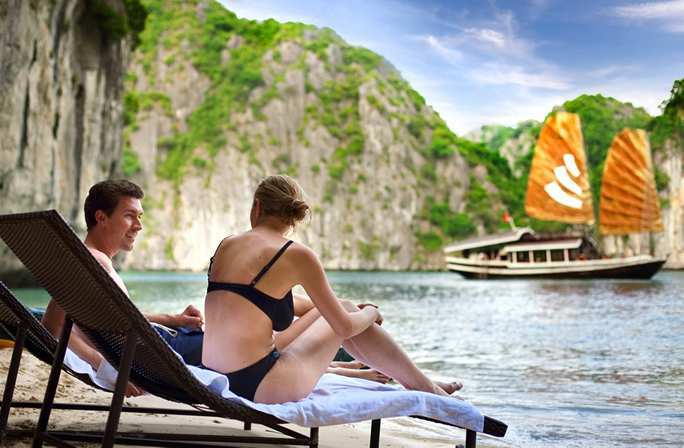 A perfect way to enjoy your honeymoon in Vietnam is to sail along the waters of Halong Bay. As you cruise along, enjoy the panorama of beautiful forested limestone cliff formation, and emerald waters along the way. Now, you can reach to Halong Bay much faster and closer than in the past by traveling on the Vietnam’s most modern express way (1,5 hours) and enjoy your wonderful relaxation on a five star cruise. A popular getaway destination, known for its quaint village atmosphere complete with art galleries, cheap tailors and numerous bars and restaurants. Best to spend your romantic honeymoon here away from the bustling city traffics. Everything here is moving at a very slow pace, the purpose is for you to slow down your pace as well, to enjoy every little moment of your experience here. Additionally, one way to experience the real culture is food, so why don’t take a cooking class and know more the hidden secret behind each kind of dish. 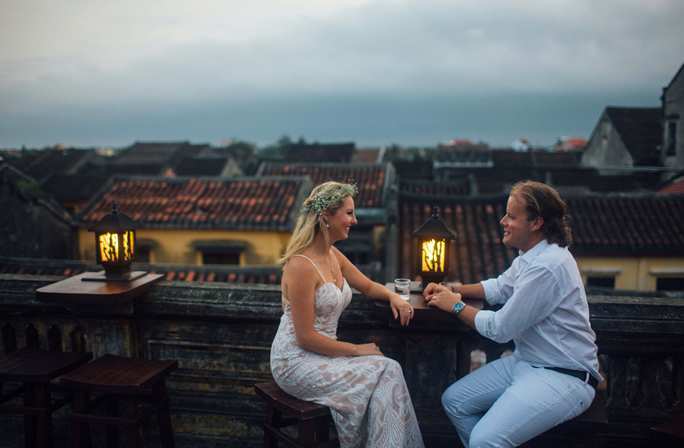 In the photo: A romantic rendezvous on a rooftop cafe overlooking the ancient town of Hoian. Close to the charming Hoi An and the Imperial capital of Hue, Danang is home to some of the country’s most beautiful and isolated beaches, including My Khe, Non Nuoc, Bac My An, Nam O, Son Tra Peninsula… Once listed in the US Forbes Magazine as one of the 6 most beautiful beaches in the world, it is an idyllic beach with smooth sand and a gentle slope. 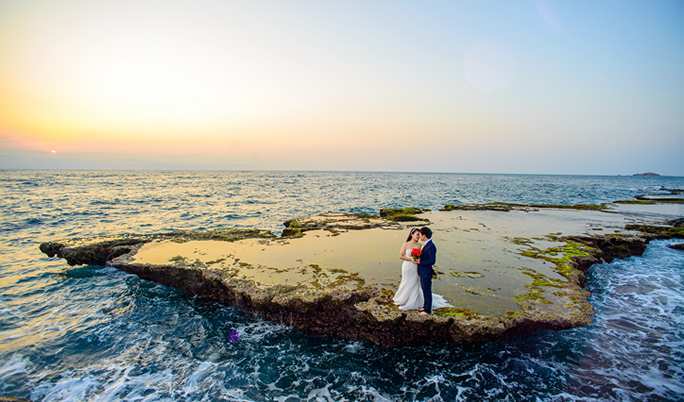 Five-star resorts along the coast will be the ideal paradise for newly married couples to create a bunch of beautiful memories. Located right in such an advantageous position, you can both enjoy the sparkling beauty of the city while enjoying fresh seafood. Now you can get in/ depart Danang by a direct international flight from/ to Siem Reap, Bangkok, Kuala Lumpur, Hong Kong, Seoul, Busan, Taiwan, Beijing etc. Phu Quoc Island is a charming island known for its palm-fringed land and white sandy beaches. Phu Quoc is a wonderfully romantic destination for couples, an island paradise where the peace is only broken by the repetitive breaking of the waves on the beach before falling asleep at night. This is a great escape to paradise; progress hasn’t spoiled the landscape or the simple fishing villages dotted around the island but has allowed cocoons of luxury where the simple life can be combined with luxurious accommodation, wonderful food, and a beautiful and relaxing environment. The majority of Phu Quoc Island is dedicated to National Park and protected marine environment, providing a memorable experience, with plenty of exciting activities and places to visit to keep you and your loved one entertained during your stay. You do not need to obtain Vietnam Visa if you travel on a direct international flight to Phu Quoc – and you just stay on this paradise island for up to 30 days. Vinh Hy Bay, Vietnam’s “secret” southeastern shores, is a small inlet dotted with fishing vessels and woven coracle. Vinh Hy is not yet on the foreign tourist map but its time in the sun will come. Nestled beside the 24,000-hectare Nui Chua National Park, a dramatic coastal promontory that looms wild and beautiful from the clear sparkling blues of the East Sea, this is as stunning a stretch of coastline as you could hope to find in South-East Asia. Sun bears, monkeys and barking deer inhabit its forests, as do dozens of bird species. Sea turtles nest in its protected marine conservation zone. In the sunlight, the bay looks like a silver mirror surrounded by strips of white sand and by mountains. Apart from swimming, you can go diving to see ocean creatures and coral reefs of diverse shapes, sizes and colors and climb the mountains to explore the forests and bathe in the springs. This is the pristine Vietnam holiday of your dreams. 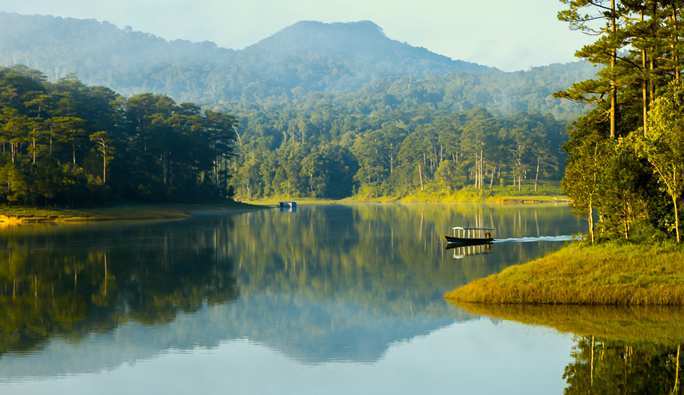 Known as “Le Petit Paris” by the early builders and residents of this hillside resort town, Dalat is still a luxury retreat for city dwellers and tourists tired out from trudging along sultry coastal Vietnam. It is definitely an ideal hideaway place for couples to stroll hand in hand on streets lined with trees, contemplating classic attractiveness of French colonial villas and poetic beauty of the valley of Love. Don’t forget to explore Vietnam’s most romantic ethnic minority village: Cu Lan, which looks like a fairyland among a pristine and romantic scenery, a range of mountains and hills, and charming valleys and waterfalls.